Need expert opinion from people who have gone through the same phase. I am currently working in US on H1-B visa and i plan to bring my parents to US for few months. The names in their passport is the correct one and i am not sure if this mismatch could cause any issues at either their stamping at Chennai-US embassy or at port of entry in US , since i am sponsoring them. Please let me know , if i need to be worried about this . Also what needs to be done from my side ff i need to correct this. To give you a perspective, my parents names are fully wrong in my passport like my mothers name has my fathers surname, while on her passport she has her maiden name and my fathers name is missing part of his first name on mine. We had no issues and they have received their Visa. What I suggest is to get a Name Reference sheet attested by a Notary to telling that the person with different spellings are same. It should be fine. I would like to invite my parents & my younger, unmarried brother to come visit/ stay with us for sometime since we are going to have a baby soon. My brother currently works as a lawyer. What documents would you suggest for him to ensure he gets a visitor visa? Any additional documents that prove that he will go back like Job, Tax, property etc can be additional evidence. I am calling my parents for my graduation. I am on F1 visa. I live in one location in Boston and I am planning to move. So what do I do with the address while filling up their DS160 form? My graduation date is June 3rd and I would like to call them around May 24th. But my Aunt in Texas wants to host them for a week and send them here in Boston. Will that be a problem in the Port of Entry? And what US adress should I actually put on the form? It should not be a problem, it is a visitor visa, there is a restriction as such that they need to be coming to certain location. If you move out to new address, by the time visa interview happens, you should give that new address. I m on h1b and my wife is on h4. I am sponsoring my in-laws. Is original birth certificate of my spouse mandatory as part of documents for my in-laws visa interview? If yes, then what are the alternatives of the birth certificate?Can copy of passport serve the purpose of birth certificate? Many of these documents are very much in support, there is no specific list given by embassy. As long as there is another document that verifies that your spouse’s parents and her relationship as parents, it should be fine. If you can get a copy of it, just get it for future benefit as well. It is not difficult to get birth certificate. I am on h4 ead and work in a top IT firm with decent salary. I have around $30K saved in my bank account. I will be sponsoring my parents for visitor visa. Do I need to add my husband as a sponsor too? No need to add to spouse as sponsor, but you will need to provide his copies of like visa, approval, status info to your parents to carry for visa interview just to be safe. 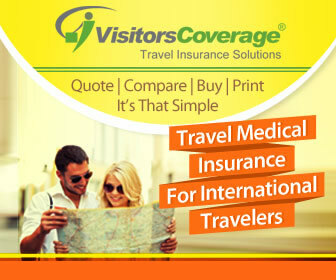 Start with http://www.ustraveldocs.com/in/in-niv-typeb1b2.asp , it has full details and links to relevant pages. I am a recent graduate on OPT and still looking for a full time job. My parents (both retired but working in private institutions) and my maternal aunt, who is not married wants to come to USA in May for one month as I would have my graduation ceremony that time. My elder brother is also in US on F-1 visa. Is it a risk to mention my parents’ retirement in DS-160 for B2 visa? My dad is a doctor, his income is 50,000 INR per month, but my mother’s and aunt’s income per month is around 10,000 INR, as they work in junior college and government school respectively in India. Would mentioning this low income be a risk in their interview? My parents’ as well as my aunt has good bank balance and property. But what if the visa officer don’t see these documents and based on their incomes rejects them. Should I not mention my parents’ retirement? Please suggest me, what should I do. You need to mention what they currently do. If they work at private institution, then they are still working right ? I am sure, they are paid and have tax forms and monthly statements that show income right ? If you are still working and making money, that is not considered retired. The monthly salary and other things are very subtle and hard to tell. As long as they are sponsoring their trip and have enough funds to cover for their trip, it should be fine. Of course, visa officer has the ultimate decision on this, but you should not be try to fabricate anything that is not true. Always mention anything that is current and true. Very useful article. I need a suggestion. My H1 b visa expires in April 2018 and I applied for my Extension in this month (January). I want to apply visiting visa for my mom. Do I have to wait until my Extension is done?? quick question first of all for how long the process will take? And second For how long they can stay in USA by invitation visa? And during the process what if I lost or quite my job? It is standard visa process. Depending on the visa stamping slot availability, it can take a week to few weeks. Usually visitor visa is given for 10 years with multiple entry and at every entry visitors can stay up to 6 months. Well, it depends on the context. Technically, visitor visa is not really tied to your visa status as long as they can afford to pay for the travel… You are just inviting them to visit…So, your visa status can help telling that they will stay at your place, etc…but, if you are not the financial sponsor, it does not matter. My parents want to visit me in USA. The problem is that on my all documents, my dad’s name is Sunil Kumar Puri (includes the middle name) but on my Dad’s all documents, their name is Sunil Puri(does not include middle name). So on applying for tourist visa to visit me, would my dad face any issue due to the name mismatch? I think, it should be fine. I had minor spelling differences and missing one of my father’s word in full name similar to yours, had no issues getting visa for my parents. You can have a name reference sheet and have it notarised by someone so that it is the same. 1st.. Thanks and putting items together!! I also have exact situation like Sourav, could you please share details about name reference sheet and its details. I have to apply for my father’s passport yet and his name is spelled different in my entire documents from his documents. So while applying for Visa, I should get notary done and still his passport and everything will be per his records(even my formal invitation). Read this article on Name Reference Sheet for Study in US. You could do something like that. Just get it notarised. Notary has to be done only for the name reference sheet and places, where there are discrepancies. This is just an option to prove authenticity that they are the same person. If you can change the documents, better, if not, you can use something like Name Reference sheet. No need to notarise the invitation. Currently I am on H1b and my initial visa got expired in Dec 2016. I got my visa extension done till 2020, but not yet stamped. I am visiting India in the coming month and will go for stamping. At the same time, I am planning to apply tourist visa for my Parents. Will it be ok to file visa for them with my old visa copy and current approved I-797 copy ? or Should I wait for my visa stamping and then apply visa for them ? Please suggest. Technically, your current status and your visa extension is what matters for your parents visa stamping. They do not have to wait for your visa stamping. If you happen to get your visa stamping done, you can submit a copy of the new visa stamped on your passport for their reference. 1) Can i bring my parents around Aug-Sep’18? 2) Is there any limitations/rules as minimum of 6 months approved I-797 validity before they leave India to here? Hello, How do I take the appointment for the same time and date for my mom and dad. I filled DS160 form for both of them separately.. but i am not sure if they will get the same time and date for the visa interview appointment. can anyone please help with this? When you do your usatraveldocs – just open 1 account for your father and add u r mother in dependents – that way their biometric and interview time will be the same. i j ust did for my parents. ~20 lacs bank balance to self-sponsor themselves? 2. As a graduate student, what kind of employment document can I show? Thanks a lot for the great article. It was really helpful. Hoping to get your expert comments! I am writing B1/B2 visa stamping experience on behalf of my parents. A little background of mine, I am on H1B and my wife is with me on H4 and I work at the client location. For the process, I just followed as it is mentioned on this blog only difference I did is I sent all the documents as scanned copies(As I don’t have much time). Kumar – Thank you so much for a detailed write-up. As my parents do not read/write Telugu or English, my brother arranged all documents in an order and send them inside U.S. Consulate(They did not allow my brother inside). When parents came out they have a stamp on the visa appointment letter(I am not sure whether it was done at the counter or somewhere inside. It does not matter at this time). My parents reached little early to Embassy and they sent inside as per schedule(Here also no entry for my brother). Once they went inside they were asked to wait in a line, One guy collected passports(original) of my parents and my passport and visa xerox copies and they are still on the line. Visa Officer(middle age lady) called my father name as he is the primary applicant in visa appointment. My father went and got a call for my mother too(this time both are at the same counter). VO: Namaskaram – She already have my parents passports, copies of my passport and visa. VO: How much land do you own? VO: How many childrens do you have? Mom: At home (my mom thought that asking about other children). VO: She typed something. then handed my passport, visa copies back then Danyavadalu(Thanks)! I told my parents before that if VO keeps passports that means we got the visa. Maybe my parents understood that she did not return passport and mentioned “Danyavadalu”. So they left the counter. After two days(12/20/2017) we got an email saying that ‘Your passports are ready for pick up’. Thanks for this update. Please, may I ask what documents did you submit from your parent’s side? I asked them to carry below documents but none of the documents was by VO. Thanks a lot Ram. Appreciate That. I did not send LCA. If you are planning to send then ask your parents to attach with I-797 copy. But I don’t think they will ask for LCA as I did not read the case where LCA was asked(never know). But my brother arranged all documents in order which mentioned in Visa Office Cover Letter and labeled with stick notes as shown below. If you can carry originals, it is better. But having Xerox copies should do as well. Most of the times, the property documents are not looked very keenly, they are just supporting evidence that you will come back. I am going to apply Visitor Visa for my Parents. Need to know which category of Visa I need to Select in DS-160. Is it B1/B2 or Only B2 ? Thanks for the great information! This is very much helpful! I’m on a H1B visa and my visa is expiring by March 2018. My employer has filed for my extension. I’m planing to bring my Parents on Visitors visa. Will there be any issue in obtaining Visitors visa due to my Visa/I94 status ? Hello! Great Article, Thank you. I am on J1 visa and so is my Husband. I am planning to invite my parents and my sister for my graduation. We have been saving money in husband’s account and didn’t realize until now that if I sponsor I will need to show this much balance which I can transfer to my account now but don’t know how helpful it will be. I don’t have more than 2000-3000 in any of may bank statements recently. I read in your article that I can still sponsor and add his balance to mine while filling out the I-134. Where do I describe that it is not mine alone but its both of our balance? I am assuming I will also send his bank verification and statements. Also how many statements we need to send? I appreciate your help. My Parents have been married for 30+ years. My mother changed her last name at the time from her maiden name to my father’s last name. In DS160 the question about”Other Names Used:” should I mention the old name? If so, what document will she require? Yes, if the name has changed or different after wedding. You can check USTravelDocs – Common Application Errors section. My mother does not have any name change document. What should I do? Not sure, what you mean. In general, if there was no name change done and all the documents reflect one name, you just mention that. I am on F1 Visa and my husband on H1B. I want to call my parents for visiting us and stay for 2 months. My parents are sponsoring the trip by themselves. What documents are needed in this case?? It is exactly same process as described above, no different. You will need to send invite letter inviting them as family. Yes, invite letter and if your parents are going to be funding their trip, they may need to show cash to support their travel costs. All the property, etc are just additional documentation to support the case that they will return back after their trip. There is no fixed number on how much you need to have in bank account…You just do the math on how much will it cost for two people to come and visit and go back. 10,000 is an approximated number. Also, Just having 10,000 USD in their bank account or your bank account does not guarantee a visa…it is up to the visa officer. Above article has all the details, read it again for the requirements. I’m on H1B and my wife is on H4 visa. My in-laws are planning to visit US for 2 months. They are planning to stay at my mother-in-law’s cousin sister for 1 month and 1 month with us. I don’t have enough balance in my account to provide the sponsorship. So my Mother-in-law’s cousin sister who is a US Citizen is sponsoring them. Will there be any problem in getting the visa because of this sponsorship thing? Will there be any question in the interview like why your cousin sister is sponsoring to you and why your daughter & son-in-law not sponsoring like that and all? Well, I do not think, it should matter. Anyone to invite their immediate or extended family to US and if they also provide financial support, it makes it better. Not sure, if they do ask, you need to have an answer. 1. My wife got transfer and we will move to the new location in couple of weeks. 2. Because of the above I am resigning my job in Location A and uncertain about the job opportunities in new location . 3. Suppose if I sponsor them , I cant provide tax return as I am job for the past 6 months only and the savings is about $2500 only. Kindly consider all these and suggest me whether I can sponsor to my parents . How about my wife sponsoring B2 for my parents. There are two aspects, one is sending the invite letter and second is sponsoring their trip in terms of finances. If you say you will finance their trip, then I highly recommend that you have enough cash in bank and having employment. If it is just an invite letter and they will pay for their trip, then it should not be a problem. You can always send invite letter. Also, your spouse can do the same. It does not matter. Thank you Kumar. I wont be in the employment while we are going to start the process. I will ask my wife to sponsor for my Parents. Thanks again. I have a question – Does the employment letter have to be an original? I work at a branch office in NYC while my company HR sits at the HQ located in Chicago. She sent me a PDF of the employment letter. Will that suffice, or should I ask her to mail me the original as well? That should be fine, unless the consulate insists. I do not think, it says in the consulate website that you need actual original letter of the same right ? To be safe, you can your pay stubs as well, just in case that also is proof of your employment. Appreciate you excellent article .. Thanks a ton buddy .. It is really helpful ..
can someone please help me with the kind of questions and documents to be shown at the port of entry to the immigration officer. My parents got tourist visa and will be travelling to US first time. Also i applied for visa while was in location A in US. Now i have moved to another state in US due to work relocation. DS-160 had my location A details. will this be questioned by immigration officer ? If yes, what documents must be shown ? No, it should not be a problem. Your parents will need to carry your current details like your passport copy, work visa copy, LCA, address details, etc. All standard documents that you submitted for visa. Usually tourist visa should be very straightforward, but you never know. If they question about location, your parents should tell why you moved locations. That’s it. No need to fabricate anything, tell the truth always. My h1b ,visa will expire on 04th Dec 17 and filed H1b extension few days back as a normal process(takes 4-5 months ). Now , I want to visit my parents to USA on Jan 2018.
its possible to visit them to USA, because my visa will expire on before that. It can get tricky with your expired H1B. At the visa interview they will ask for your current H1B petition details like approval notice, LCA, etc. Giving expired details or in process details, may not be convincing… What I recommend is, if your parents visiting is a priority, you can upgrade your visa processing to premium and get the approval done. With the approval info, your parents should have all the info from your side that is valid. Really appreciate all the help on this forum. 1. Do I need to fill out the i-134 for them? And if yes, do I need to submit it anywhere, or just sign it and send a scanned copy to them which they can carry with them to the interview? 2. Do I really need to send them the originals of my Employment letter and Bank letter or the scanned copies are fine? I plan on calling my parents here in the coming months. Do I need to complete a separate DS-160 for each or I’m allowed to do a combined one? I combined is possible, please let me know how do I go about it. Thanks for excellent article. It’s really great to have such a clear, precise and extremely helpful article. I have one query and need your valuable advice on it urgently. Me and my younger sister are planning to visit my cousin for the first time in US to meet their family for few days only. We have invitation and complete sponsorship from him. This will be our first foreign trip. Now the issue is that me and my sister “works for the same organization in different roles in different specialties but reporting to same boss”. Whereas I am only employed as Project based consultant with seasonal work but mainly working for this organization whereas my sister is a full time employee with them. I also do other part time informal consultancy. Well my question is that, if we apply for Visitor Visa then, will our employment status especially working for same employer interfere with visa success /create trouble for both of us or is it normal for US Embassy ?? Please help urgently as we both got only 20 days of leave only to visit. Others can also share their opinion. Frankly, in my view, it should not really matter. We do not know what goes in visa officers’ mind, so all we can hope is it works out positive. You should never hide facts, it is what it is and you submit it in good faith. Excellent article Kumar. Thank you. It was really helpful. My Father is on dialysis. Can he still visit USA for about a month. IS there any problem with his VISA process. I am not sure, if there is any specific health check required for visa. It should not be an issue, you should have options to cover his medical expenses during his stay. You can always write to the embassy to clarify, if you want clarity. I moved to US only in April 2017, so I don’t have any Tax returns . So kindly tell me what are steps that I should be taking because of this for processing the Visa for my parents ? and do the same documents apply for inviting my siblings or does it need anything extra? If you do not have any Tax Returns, it is fine because, you have not been in US over a year. The steps are same as above for your parents or siblings. There is nothing extra. It is for visitors visa B2, so technically same. Can I call my mother in law in US for helping my wife during delivery. I have heard different people with different opinions. Some say, it gives a negative impression and visa might be rejected. Please help me in getting correct way to approach. I have not heard of people getting the letters from hospital and stuff. Usually people just apply for a visit and if the visa officer asks the reason they can always say visit and delivery . Again, this is based on my knowledge. Do not worry too much about the specifics, send her the invite and invite her for visiting your guys, it should be fine. The above article talks about it…read it for required docs info. Hi, Saurabh. Can I get my US relatives to scan their documents and send it to me as soft copies? I was thinking that I can print the scanned versions where I am. Applying for B2 VISA, fyi. What specific documents are you talking about ? What visa and your relationship with US relatives ? Do you know if they need to carry pre booked onward and return ticket while going to visa interview? Not really, but they will need to fill out the expected date of arrival in US when they fill the DS-160 form. I have a small kid so my mother would be accompanying me to US. My husband is already there since 3 months. Since he is not yet financially eligible to sponsor my mother, can his employer sponsor my mother’s trip. If yes what documents will be required. Well, I am not sure, how it works with the employer. Usually, employer never sponsors for in-laws or parents. All your husband needs is to have enough cash in bank account. Maybe he can ask the employer to give advance cash to support so that your spouse can be the sponsor. Thanks for the service you are providing. I have a clarification and request your feedback. My sister and brother in law are staying in USA. They are green card holders. They have also applied for citizenship. My brother in law is working while my sister is homemaker. My mother’s B2 is expiring next month and we are renewing the same (my mother has to attend the interview at consulate as she does not qualify for interview waiver). My brother in laws Indian passport has expired and the renewal is not yet done as he is expecting the US citizenship. As he is sponsoring my mothers trip is it necessary that he need to have a valid passport and does my mother need to carry a proof of the same. I want to sponsor my mother’s and mother in law’s trip to US together. I also have currently $5K balance. Will this be sufficient? Or do my mother and mother in law need to show more assets in India. If you are the sponsor, you need to show enough funds to support their travel and expenses (as they can stay up to 6 months). It is recommended to have $10k at least, if you are the sponsor. Unlike, if you are not the sponsor, then they will need to show cash and assets to cover the cost of their trip. So, you need to make that decision and prepare accordingly. Will this lead to their successful visa stamping of both with 5k in my account? Well, I am not sure, if you should be doing that. The goal is to have enough funds to cover expenses, when they arrive in US. It is all done in good faith. I recommend, you have enough cash for both, if you plan to have them iN US, and then go for stamping. Also, just having cash in bank does not guarantee visa stamping, it is based on many factors. My husband is on h1b and will be sponsoring my parents when they come to U.S. both are above the age of 60 and retired from their services. I think showing their savings are good enough as long as it can cover their trip to US and expenses. Well, it does not hurt to carry them as supporting documents. Nothing in specific, just show what they have got in terms of savings and cash, that should be fine. Hi ,I would like to ask one question here. Present i am holding valid H1B visa and now I want to bring my aunty(Mothers young sister) as a visitor.Could you please let me know the possibility of getting VISA from hyderabad.Thanks. You can always send the invite letter and let them apply for the Tourist visa. It should be fine, in general. Overall, the chances of visa are always dependent on many factors and it hard to tell. You just carry everything during interview. No need to submit anything beforehand. I have two questions regarding my mother-in-law’s visa application. (1) Me and my wife are currently living in the USA with expired visa but valid I-94 based on our I-797. So, if I am applying for my Mother-in-law’s visa, will there be any problem as our visas have expired? (2) Should I be marking myself or my wife’s name in all the places in the forms for person to contact in the USA, sponsorer, invite letter, etc for my Mother-in-law’s application? 1. It should be fine as long as you are maintaining your status properly. Visa is just an entry document, what matters is your status in US. You can send your paystubs, I-797 copy for their reference. 2. Either is fine. Ideally, it should be the person who is working. Can USA Visitor visa for Parents be applied from Germany ? As my parents are visiting Germany and i am short of time to apply visa when they are in india and appointments date delay! I want to know how soon I need to set the visa appointment and send all the document after submitting DS 160. Can I submit DS 160 first and then can take some time to set up the visa interview and send the documents. Is Submitting DS 160 is linked to visa interview dates ? this is a good piece of information. One thing wanted to confirm, what about tickets? Do we need to show return tickets at the time of interview? This is very good and precise information. Very helpful. I had a question. I read somewhere that birth-certificate of child whose parents are visiting is required. My parents are visiting but my spouse is sponsoring. So my parents need to carry my birth certificate. May you please confirm if this is required. Thank you. It is nice to have it. But, not really mandatory. My dad passed away last month, now I would like to take my mom with me to US. My husband is on L1 and he would be sponsoring the trip. My brother is in Australia. How can my mom get a B2 visa and what extra documents does she require to prove her stand and get the visa approved ? In general, the officer wants to check if the candidate is a potential immigrant or not. This is typically demonstrated through financial and social ties. So keep documents to show ties to home country (bank statements, FDs, land ownership etc). If asked for the purpose of trip she can say that she wants to spend some time with her daughter and plan to return in few months to take care of the belongings back in India. Visa documents for expectant parents coming to the US can be baffling.